Hope comes in the form of box - Yes! 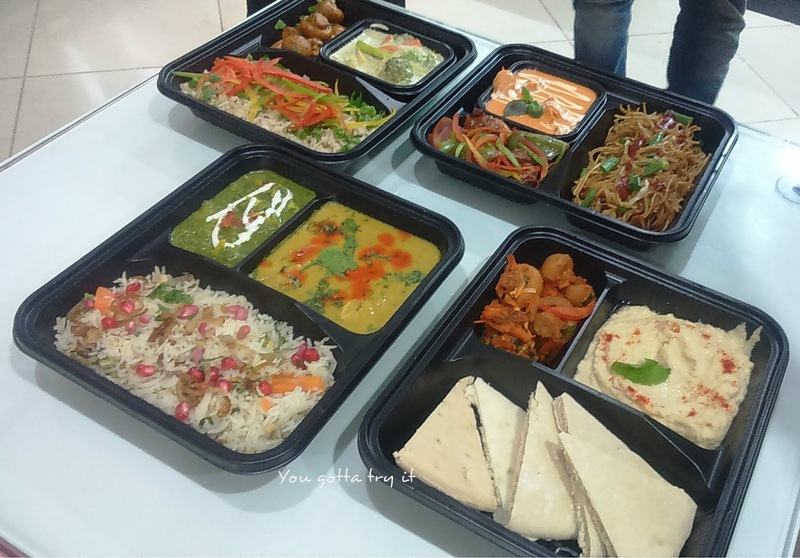 Hopping Chef recently launched in Namma Bengaluru after marking their grant success in Mumbai. 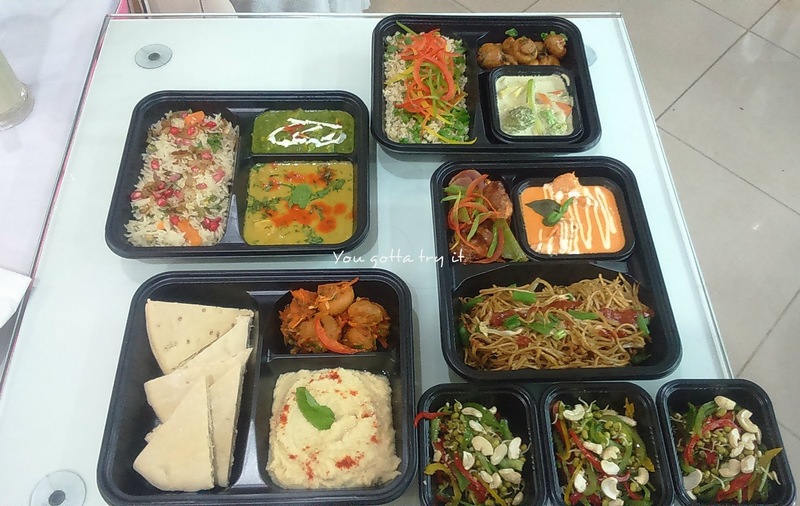 They came up with a unique concept of Chef curated 5 course meal in a box. This is ideal for a corporate lunch or even you can order from home when you are in no mood to cook. 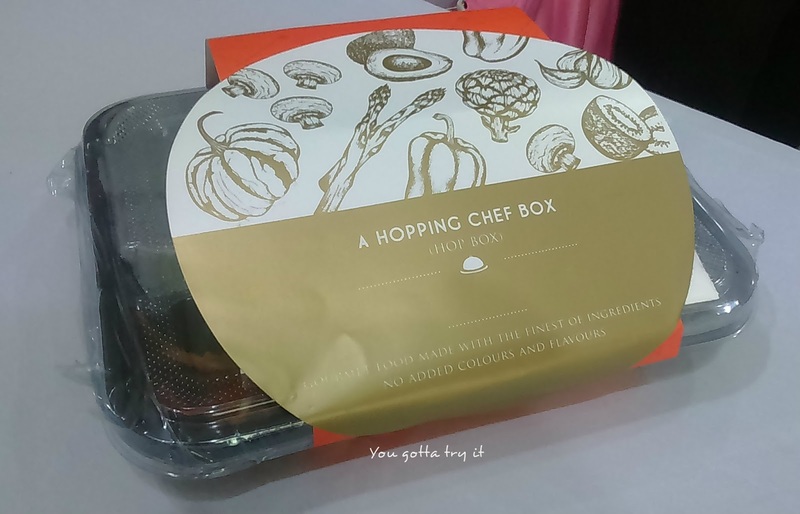 Hopping Chef was found in 2014 and the creative minds behind it are Shaival Chandra, Sid Ugrankar, and Dhaval Udeshi. 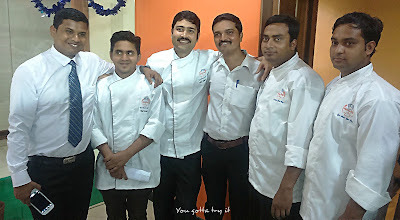 It was pleasure to attend their launch event along with my fellow blogger friends and got a chance to meet few wonderful people from Hopping Chef team. Hop Box or Bento box is a healthy meal option, which comes in a neatly packed box after proper quality check. They have 20-30 meal options which includes Indian, Mediterranean, and Asian cuisines. I was surprised to see their wide spread of dishes. To name few- some of my favorites were Kacche Aam aur Kele ki Tikki (Raw mango and raw banana tikki), Anardhana Shahi Pulav (Pomegranate Pulav), Rosemary Murgh Malai, Explosive Orange Rabdi and Qubani ka Meeta. 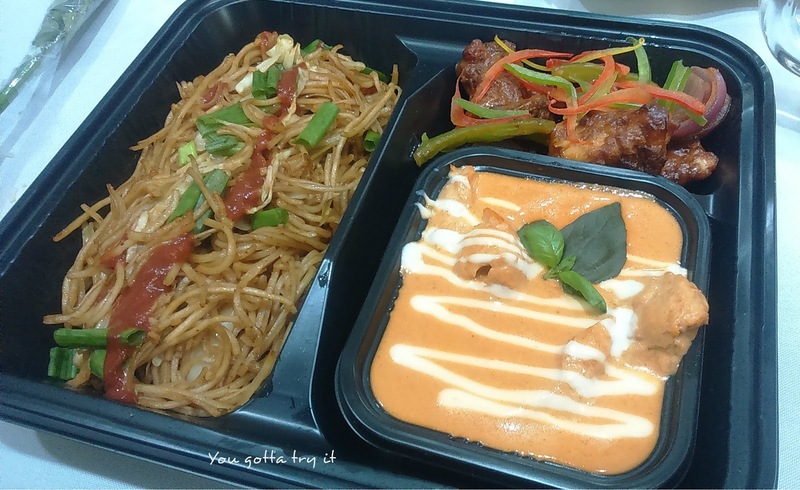 I just love the variety of Asian and Indian dishes they presented in front of us- Noodles were cooked to perfection and what else I can have with noodles other than a yummy bowl of Sweet and Sour Chicken. 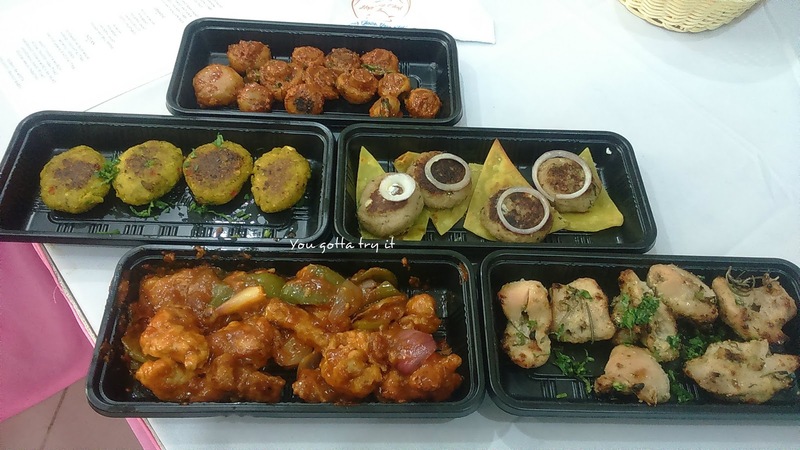 The combo was heavenly :) Not so common Indian starters like Kacche Aam aur Kele ki Tikki and Nizami Paneer Hara Pyaaz were also highlights of the lunch. Anardhana Shahi Pulav and Awadhi Dhania Murgh was yet another scrumptious combo. I had that heavenly feeling when I tasted two of my favorite Indian desserts- Qubani Ka Meeta and Explosive Orange Rabdi. 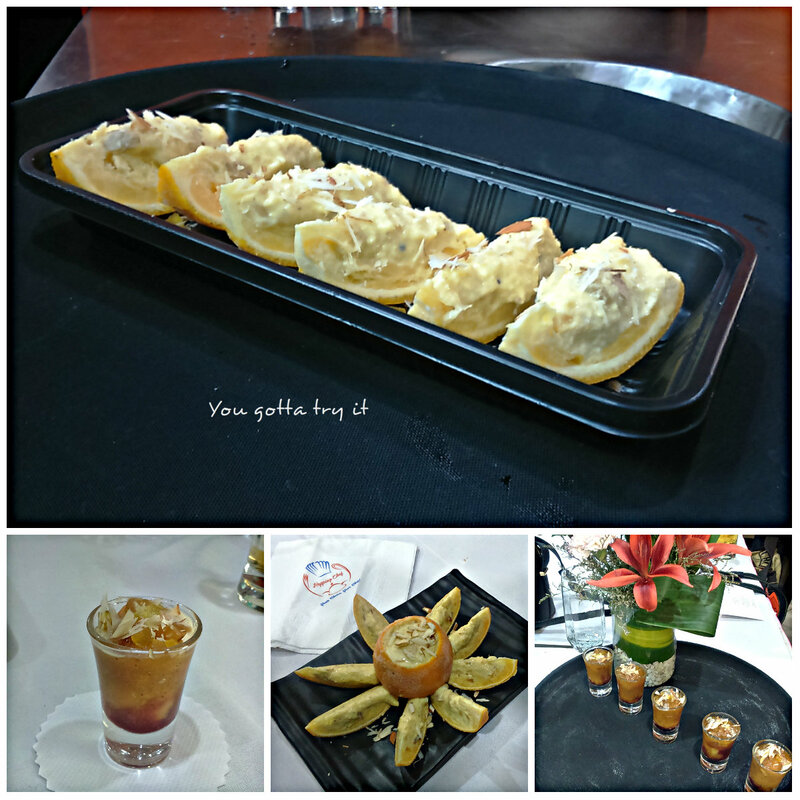 It was just perfect with right amount of sweetness in it. Yummy Orange Rabdi will tickle your taste buds for sure.